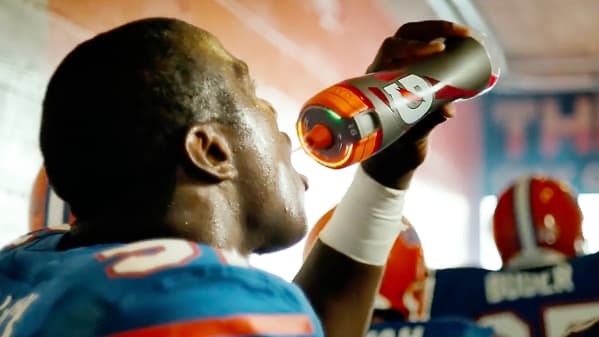 Sports drink Gatorade has gone digital with the Gx Platform, a service that brings biometric data and electrolyte-enhanced fluids together … in the cloud. A patch placed on an athlete’s skin calculates sweat rate and composition. That data is then processed by the online Recommendation Engine, which suggests which personalized formula pods to lock into a “fuel bottle,” which includes an internet-connected Smart Cap that tracks Gatorade intake, while additional tools monitor and provide performance analytics.